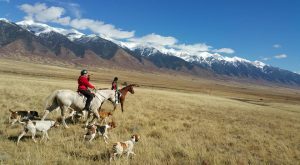 On Friday, July 13, Dr. Alison Brown, whose rural American foxhound hunting operation had been attacked and vilified by two county residents was awarded more than $550,000 in defamation, reputational damage, lost revenue, and additional security costs incurred due to threats she received after being defamed. Based in rural Chaffee County, Colorado, Dr. Brown’s operation became the target of two other residents, Chris Vely and Laura Barton, who wanted Brown’s dogs either silenced or removed entirely. Vely and Barton filed civil suits and criminal complaints, handed out fliers, and posted a Change.org petition against Brown. The online petition and flier were the items containing false and defamatory claims. It is highly encouraging that the parties using lies and defamation didn’t simply fail to win: they were held accountable for their harmful statements and countersued. As more and more honest people stand up for themselves like this (something that, unfortunately, takes time and money), the fewer frivolous and opportunistic cases like Brown’s we will see. For too long, organizations like PETA and HSUS have happily painted their targets as nasty caricatures, while using grossly outdated and inaccurate information in their campaigns. And for too long, the targets of these organization have been left too financially and emotionally spent – and intimidated – to fight back. But the now very real threat of counter-litigation changes the playing field dramatically; at the very least, animal rights organizations will be forced to do some actual fact checking before attacking an individual, hobby, or industry. And this is a huge, and positive change. Alison Brown’s American Foxhounds. Image used with permission. A few final notes: While Col. Dennis Foster, former executive director of Masters of Foxhounds and board member of NAIA Trust, doesn’t particularly like seeing his name praised in print, we are going to praise him anyway! We are immensely grateful that Dennis recognized the importance of this case, felt compelled to get involved, and used his years of experience to support Dr. Brown, all at his own expense. His expert testimony was no doubt a huge factor in Brown’s victory, and for this, we can’t praise him enough! I also want to say how grateful I am to Col Foster and the many other witnesses who came forward to give testimony at this case. I am incredibly proud of my Chaffee County neighbors and friends in the foxhunting community who were appalled by the actions my neighbors took and who helped me fight and win this landmark case. Click here for an interview with Dr. Brown offering more personal and detailed information of this case.